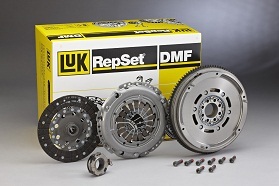 Founded in 1965, Luk (Lamellen und Kupplungsbau €“ in English "disc and clutch makers") has been providing vehicles worldwide with transmission systems and components for nearly 5 decades. From its beginnings manufacturing diaphragm spring clutches for the successor of the VW beetle, today every third car rolling off a production line will be fitted with a Luk system. LuK is a technological leader in many fields, having developed systems such as the dual mass flywheel in 1985, enabling smoother driveline vibrations. Or its self adjusting diaphragm clutch, released in 1995 that extended the service life of clutch assemblies by more than 1.5 times without any change in service load. With a commitment to research and development, LuK is a leader in the production of system solutions for a demanding market. And with its extensive engineering and manufacturing capacity LuK is represented in all markets around the globe. workshops). There are now 1,650 LMS workshops in Europe. 1985 - The LuK dual mass flywheel sets new standards in drive train noise insulation. proof of LuK's drive train expertise. The core business of LuK, from their first production of diaphragm spring clutches in the sixties to their revised self adjusting units designed to extend life and create easier service, the range of clutches produces by LuK's factories will cover almost any car available today. First introduced to the world market in 1985, the Dual Mass Flywheel is key to the smooth operation and increased efficiency of today's drivelines, and with OEM design and support it's the best way to ensure the life of your vehicles transmission. As an automotive repairer or re-seller, you will be coming across many LuK dual mass flywheels that just like any automotive drivetrain component, have a limited serviceable life and require exact replacement. It may surprise you to know that more than 120 million vehicles worldwide have been fitted with dual mass flywheels to date. Vehicle manufacturers have selected dual mass flywheels as Original Equipment in order to meet ever tighter government emissions targets, while also satisfying driver demands for improved refinement and power delivery from ever smaller and lighter engines / gearboxes. The dual mass flywheel manages to eliminate vibration and deliver smooth power, replacing what used to be excess engine weight that absorbed the vibrations. Only a dual mass flywheel can manage to deliver smooth vibration damping from an engine like the 1.0 Litre Ford Ecoboost variant, that develops 200Nm of torque at just 1,400rpm. Couple this with lighter gearboxes and ever lower rpms for better fuel economy, along with start-stop functions and increases in vibration levels would become unbearable without the use of a dual mass flywheel. The term dual-mass simply means splitting the flywheel in two and attaching one half to the engine and the second to the gearbox. A pair of large arc springs between the two masses provide up to 186 degrees of rotational movement, absorbing even more vibration. This enables the dual mass flywheel to reduce the resonant frequencies to virtually undetectable levels. Just like any automotive component, dual mass flywheels have a serviceable life before they require replacement. If not replaced according to the specified lifespan, vibrations will make their way to the gearbox, eventually causing much more expensive gearbox and drivetrain damage. This means unhappy customers and returns that repairers have to rectify at their cost. Of course the replacement of a solid mass flywheel in the place of an Original Equipment specified dual mass flywheel should never be done, even if the solid mass flywheel fits and costs less. This practice will cause significant damage to the gearbox among other drivetrain problems. There has been several examples of how this supposedly cost saving measure has gone drastically wrong for repairers both in Australia and internationally. In the long term, replacing OE specified dual mass flywheels does save cost by ensuring good fuel economy, protection of the clutch and drivetrain components and ensuring that your customers enjoy comfortable and vibration free motoring. RepXpert is an exclusive Schaeffler Automotive Aftermarket global online business solution which offers technical information, repair and installation tips across all vehicle segments, manufacturers and models for independent repairers. RepXpert information is flexible, updated daily and is now available to Australian workshop owners and technicians.Once logged on, any Schaeffler Automotive Aftermarket customer or interested party can access specific information pertaining to all Australian LuK, INA and FAG product applications. The option also exists to have access to TecDoc technical information pertaining to the vast majority of vehicles in the Australian car parc through this localised RepXpert portal. 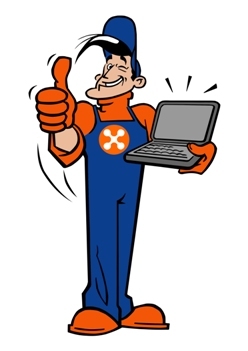 Regularly updated and highly comprehensive video content also assists repairers and technicians with product fitment examples and other explanations on the RepXpert website. 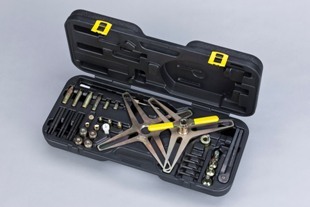 The RepXpert Online Catalogue function allows users to access fitting instructions, inspection and maintenance schedules, tightening torque specifications and fluid capacities. There are five competence centres that make up Schaeffler's RepXpert onlineportal for which detailed information and customer support is available 24/7. These online information centres are divided into Engine Parts, Drive Train, Workshop Management, Chassis Technology and Tools. According to Schaeffler Australia Manager, Automotive, Pierre Marshall, "The RepXpert online portal provides up to date basic knowledge, specific product information along with assistance in regard to diagnosis and repair information on subjects related to the specific LuK, INA or FAG products required. With RepXpert, Australian automotive repairers can have instant access to Schaeffler technical documents such as installation instructions, labour time allowances and servicing plans for all types of vehicles, including local makes and models." "Providing a new RepXpert online portal for our valued Australian customers represents our major commitment to the long term success and continual growth of the independent Australian automotive aftermarket," Mr Marshall added. RepXpert registration is free of charge and the new Australian online portal also includes a Schaeffler bonus points program, where Australian automotive aftermarket customers can collect points through the purchasing of Luk, INA or FAG parts. These points can be redeemed online for access to TecDoc data or for a gift of their choice. 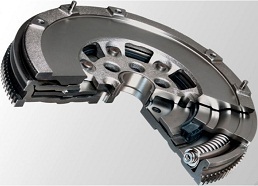 The LuK Self Adjusting Clutch (SAC) has asserted itself in a large number of motor vehicles. Particularly in cars with large engines as driven commonly in Australia, the actuation of the clutch is achieved far more comfortably with the SAC. The LuK SAC uses a load sensor (sensor diaphragm spring) to activate its wear adjustment function by turning a ramp ring. This wear adjusting mechanism reduces the required actuation forces while increasing the service life of the clutch by around 1.5 times. In addition, the actuation forces remain nearly unchanged throughout the entire clutch life. Owing to the many interlinked components of a LuK SAC, the use of a special tool for clutch replacement works is indispensable. An SAC must not be engaged without the flywheel and clutch pressure plate in order to avoid any damage to the adjusting ring. This is exactly what the LuK SAC special tool does. The LuK SAC Special Tool is the original in the market and is an absolute must for the correct mounting of a LuK SAC or a traditional diaphragm clutch. Suitable for all vehicle types, the LuK SAC Special Tool pre-loads the clutch, thereby preventing the adjusting ring from turning in the clutch pressure plate. The speed and total efficiency of the LuK SAC Special Tool was displayed at the 2011 Australian Automotive Aftermarket Expo. Visitors to the Schaeffler Automotive Aftermarket stand were able to sample using this revolutionary tool during the LuK Clutch Change Challenge to replace clutches quickly, correctly, safely and with ease.